Simple counting of objects with a fun online math learning game. 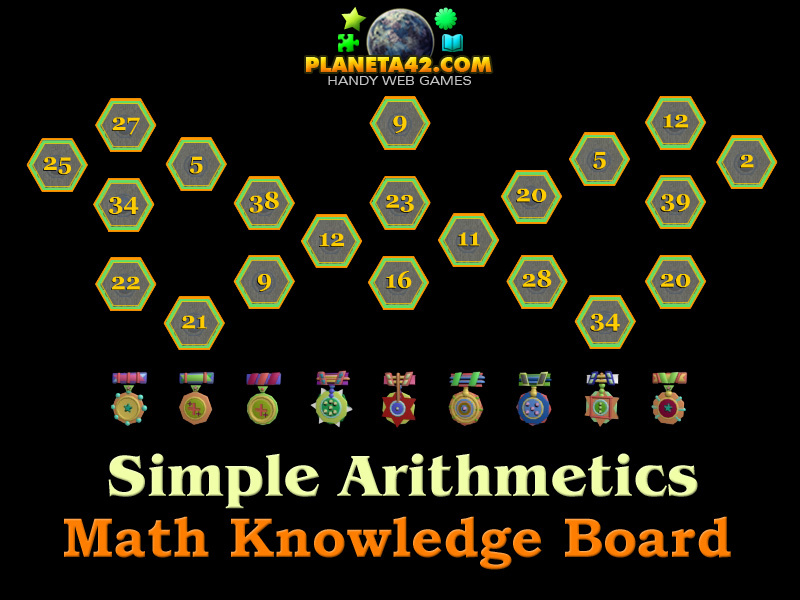 "Simple Arithmetics" is a free online knowledge game, used to practice Arithmetics, by interaction. Include addition, subtraction and multiplication. A short flash reflex game for desktop computers, laptops and tablets, which may be played in the web browser. The Math Knowledge Board include 8 basic arithmetical equations to play with. Use it before go shopping. Part of the Fun Interactive Mathematics educational tools. What are the basic arithmetical operations? How to practice fun arithmetics? Where to practice arithmetics online? Is addition an arithmetical operation? Is subtraction an arithmetical operation? Is multiplication an arithmetical operation? I want to shoot numbers? How to play Simple Arithmetics. 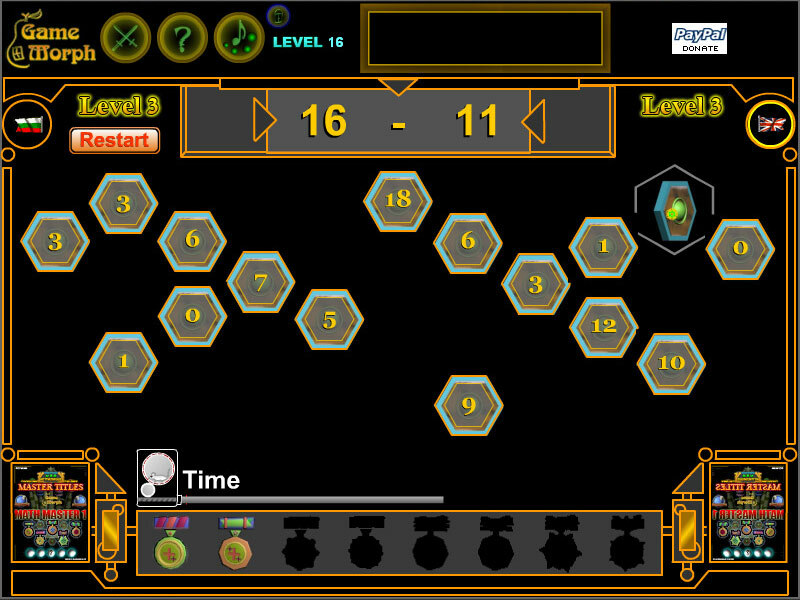 Point and click the hex that contain the answer for the equation. Observe the simple equation in the upper center rectangle and then click the hex with the correct result. Playing beginner will not restart the level on wrong click. If you click 2 or 3 hexes in the same time, watch that they do not contain same numbers. Adopt fast and accurate counting. Class subject: Addition and subtraction to 50. Pictures of medals from the team. Game icons here. Labels: Games with Numbers , Counting Games , Flash Games , Math Games , Education Games , Free Online Games.